In one video, a man marries a gas cylinder dressed in a white wedding gown and couldn’t be happier about it. In another, a well-stocked gas truck cruises through town like a parade float, escorted by a fleet of motorbikes and taxis honking in celebration. 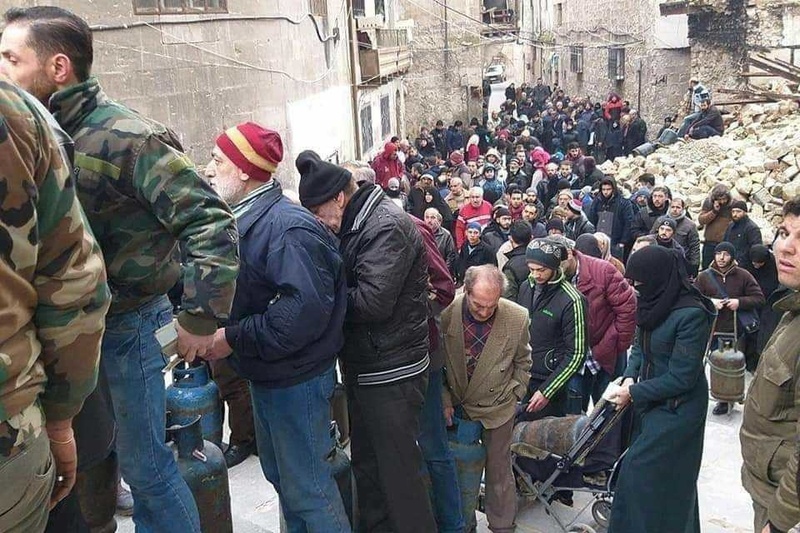 Government-held Syria is reeling from an energy crisis this winter, and citizens are responding in turn — not with street protests but with videos, cartoons and memes that are making the rounds online, relaying a population’s frustrations as they go. Syrians are struggling amid a severe shortage of gas cylinders — used across the country and much of the region to fuel stoves and, in many homes, to keep warm through wintry conditions and freezing weather. The crisis, which has been blamed on everything from international sanctions and corrupt gas distributors to unusually high demand, has hit major cities stretching from Suwayda in the south to Alawite-majority settlements along the Mediterranean coast, and east to Deir ez-Zor near the Iraqi border. Read full article at Syria Direct….